This topic contains 4 replies, has 2 voices, and was last updated by info61 12 months ago. New user and just going through the setup. I have all fields mapped and working to a single PDF but just had a few questions if I may. 1. 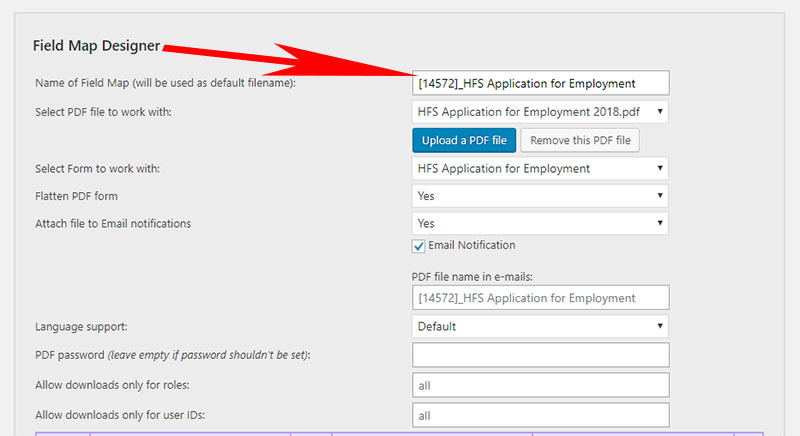 If I want to have multiple PDFs from the same form, and want a dynamic (based on field entry) name for each, am I correct in thinking these must be accessed via a download link shortcode as only a single PDF dynamic name can be used? If not, how can I attach multiple PDFs to the email with dynamic filenames? Is the syntax wrong here? My PDFs just come out with the name of the field map. How do I use a field value in the filename? You say to use a “Formidable shortcode” – is that the number as I have or something else? 3. Finally, is it possible to have a dynamic number of PDFs created? So if I set up 3 PDFs with field maps from the same form, can I only have PDFs created when certain data is entered. So for example, I have three fields, the first is required and the other two are optional. 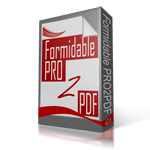 If one field only is entered, 1 PDF is produced, if 2 fields are entered, 2 PDFs are produced, etc. Hope that makes sense. Thanks if you can help. #3: Create three Formidable Email Notifications and use the Conditional Logic on each Email Notification to select when to send the email. Also, create three of the same Field Map Layouts (use the duplicate button at the bottom of the field map layout to copy the original field map), but check/uncheck the Email Notifications to send per your criteria. We remain at your service. Thanks so much. I’ve got that all working. Brilliant. Just one more quick one if I may. In terms of the signature mapping, it appears to not resize the signature pad image to fit the PDF field. Is this right? Basically, I have to have the sig pad on my form somewhat smaller than I would ideally like so that the signature isn’t clipped on the PDF. I had thought it might auto-size the signature image to fit? Any handle on this at all? Thanks. I have sent you a few files and screenshots via your form.